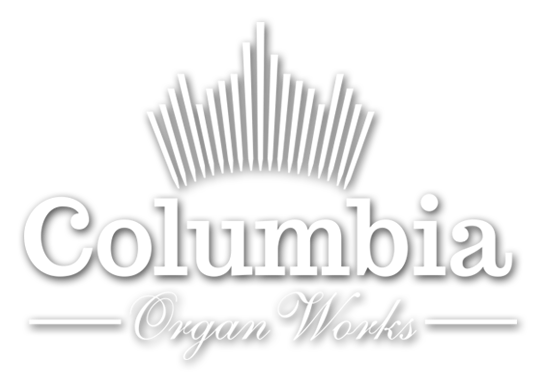 Located in historic Lancaster County Pennsylvania, Columbia Organ Works is now in its 32nd year of providing the highest quality new instruments, historic restorations, renovations and maintenance of pipe organs. 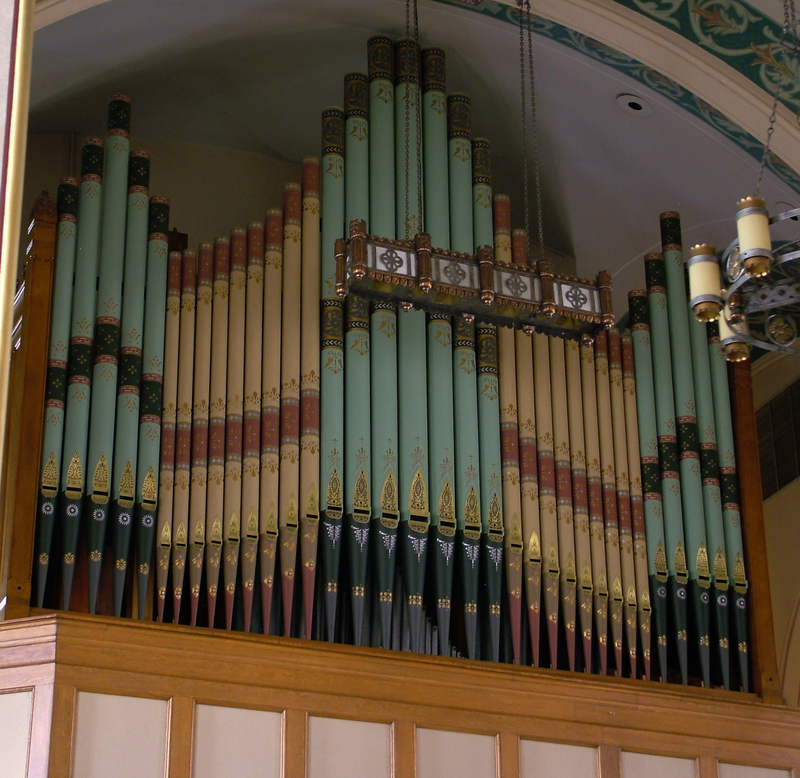 Columbia Organ Works was formed in 1987, in Columbia, Pennsylvania, by Larry Pruett, William Duck and John Speller. Each of the firm’s founders had extensive backgrounds in pipe organ construction, maintenance and restoration. Since the company’s founding, in a basement, it has grown to occupy a shop space of more than twenty thousand square feet and to employ eleven pipe organ technicians. Columbia Organ Works is dedicated to the construction, restoration and renovation of REAL PIPE ORGANS. We do not install artificial sounds or digitally recorded “voices”. 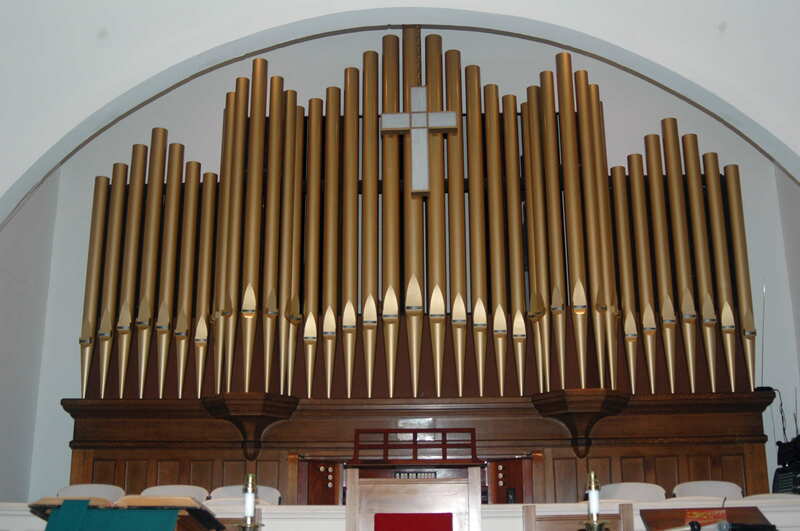 Columbia operates a large pipe organ tuning and maintenance business, servicing more than 100 pipe organs in Pennsylvania, Maryland, New Jersey, Delaware and the Caribbean. Columbia Organ Leathers, a division of Columbia Organ Works, processes and supplies leather for use in pipe organs and other musical instruments. This leather is sold to more than two thousand companies throughout the world. Columbia organ works has gained a reputation for fine quality pipe organ restorations and renovations. 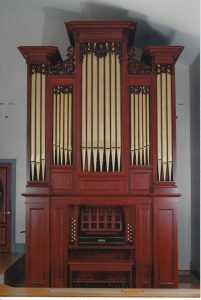 Some of the firm’s more notable recent projects include releathering and cleaning of the two Four Manuel organs (174 ranks) in the Basilica of the National Shrine of the Immaculate Conception in Washington, D. C. in conjunction with curator Bard B. Wickkiser, the 2 manual George Stevens organ built in 1869, and now installed in Trinity Episcopal Church, Shepherdstown, West Virginia, and the 3 manual 29 rank Skinner Organ Company, opus 683, installed in Salem Lutheran Church, Lebanon, Pennsylvania. We have also restored and installed a number of instruments in churches on islands in the West Indies. Columbia Organ Works is pleased to have been chosen to restore numerous wind chests for the world’s largest pipe organ located in Atlantic City’s famed Boardwalk Hall. Columbia Organ Works specializes in the construction, restoration an renovation of both mechanical and electro-pneumatic action pipe organs. During our more than thirty two years in business, we have restored dozens of organs up and down the east coast of the United States and in the Caribbean. Columbia Organ Works often participates in the restoration of pipe organs as a subcontractor to other pipe organ restoration firms. In so doing, our work can be found throughout the United States. 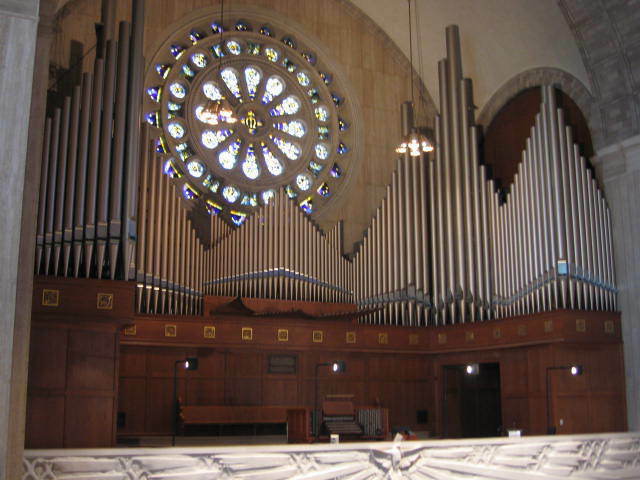 Some of our more notable projects have included restoration and releathering of the Swell and Swell/Choir division wind chests for the world’s largest pipe organ located in Atlantic City New Jersey’s famous Boardwalk Hall, and the complete cleaning and releathering of the large Moller organ at the Basilica of The National Shrine of the Immaculate Conception in Washington, DC. This work was done in cooperation with curator of organs Bard B. Wickkiser. 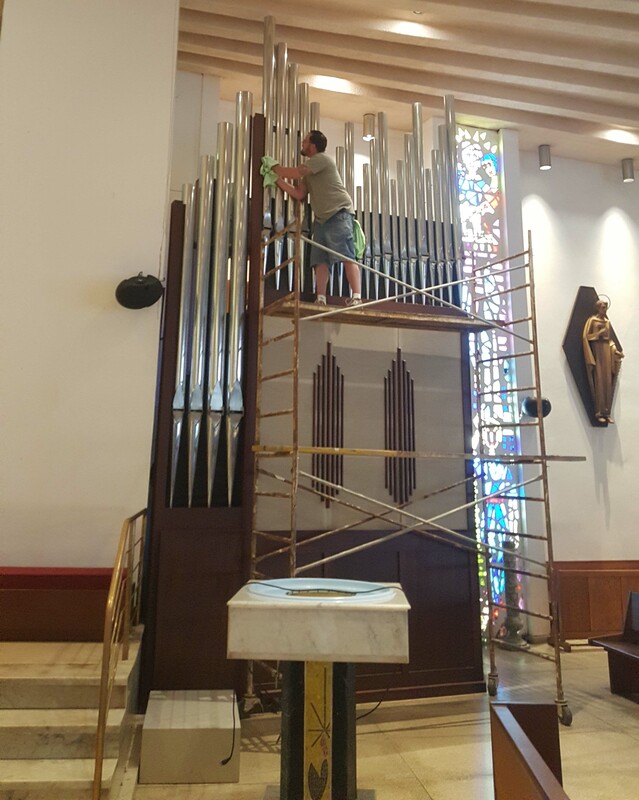 We are presently in the process of restoring the lovely Thomas Appleton organ pictured at left for installation in Kirkpatrick Chapel of Rutgers University in New Brunswick, New Jersey. 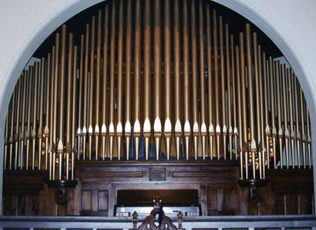 Other current projects include restoration of reservoirs for the organ in the Washington National Cathedral (Bard B. Wickkiser, Curator) and the releathering of organs built by M. P. Moller, Skinner Organ Co., Schantz, Austin, Casavant, Reuter and Pilcher in cooperation with several other organ building firms. Columbia Organ Works provides routine tuning and maintenance to more than 100 pipe organs within a 100 mile radius of Lancaster, Pennsylvania as well as rebuilding and restoration services throughout the United States.